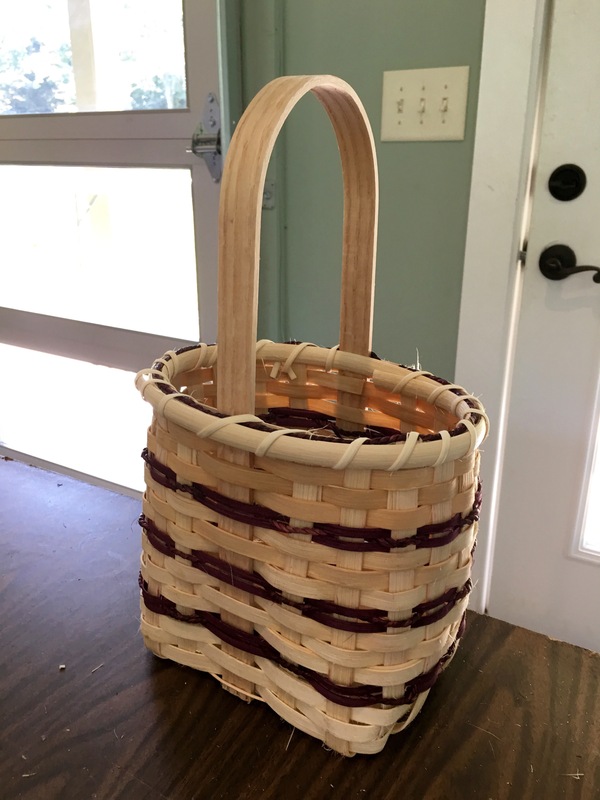 If you are itching for something new and crafty to do, I highly recommend a basket weaving class. In just a few hours you can create something completely unique. 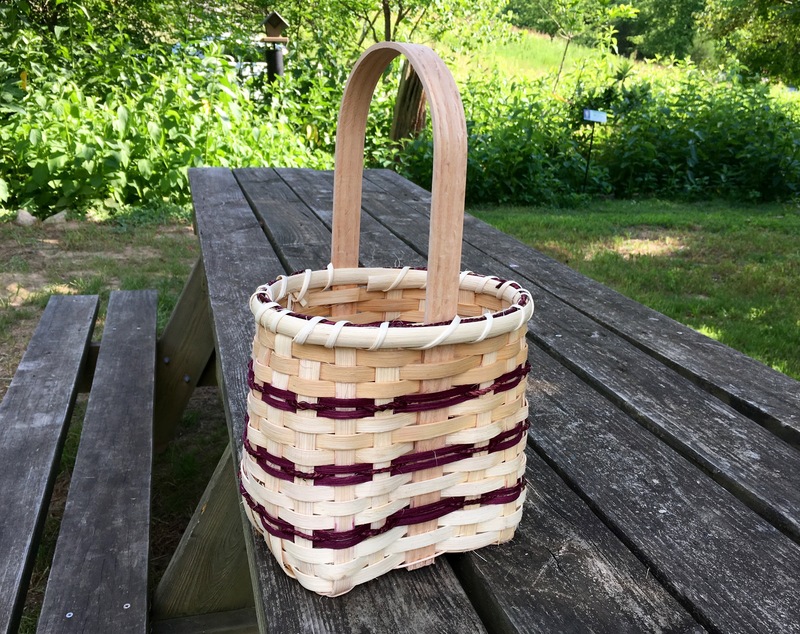 I went to Owl’s Hill Nature Sanctuary for my class with basket weaver Janet Lanier. Owl’s Hill is an 160-acre nature and animal preserve in Brentwood, Tennessee. I didn’t have time to explore the property, but I did see a beautiful deer grazing right outside of the window as I made my basket. It was a very peaceful afternoon. 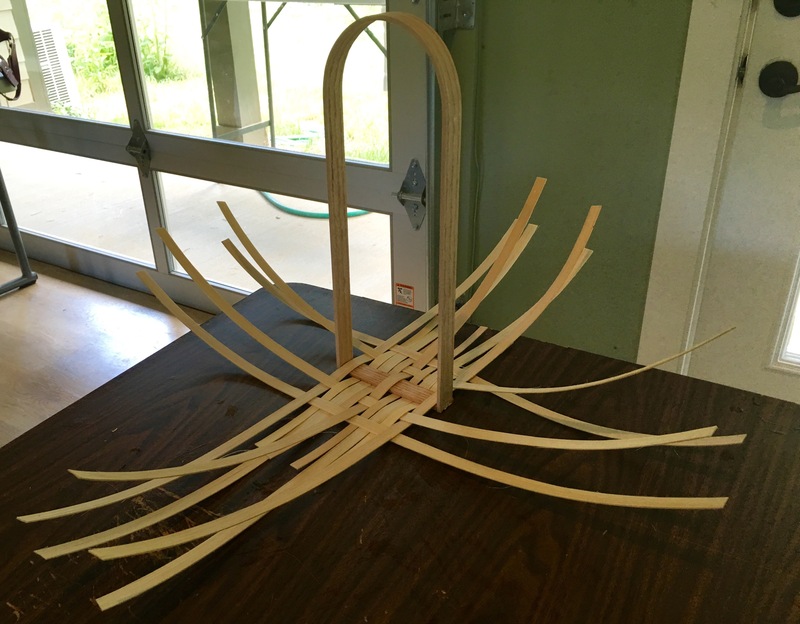 We started out with a wooden handle and the spokes that would make the frame of the basket. 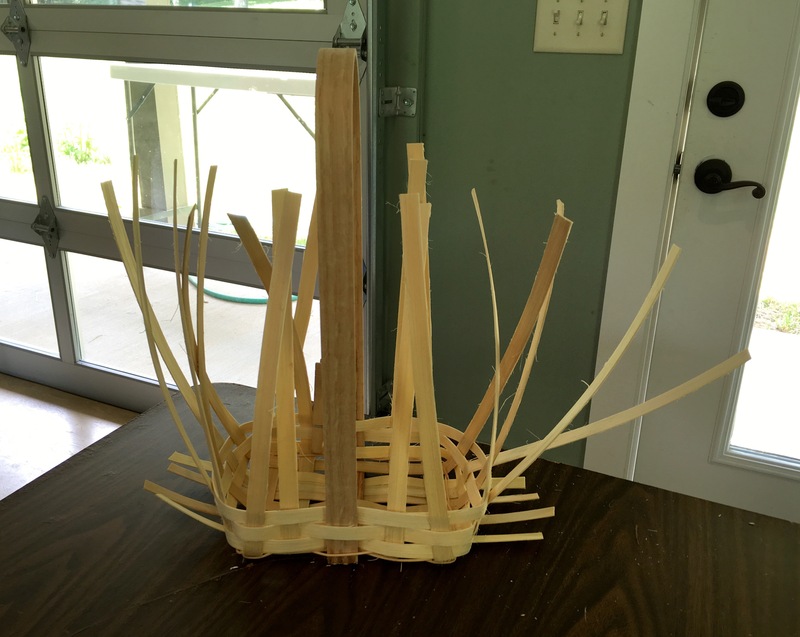 The base of the basket was formed by interweaving the wooden spokes. 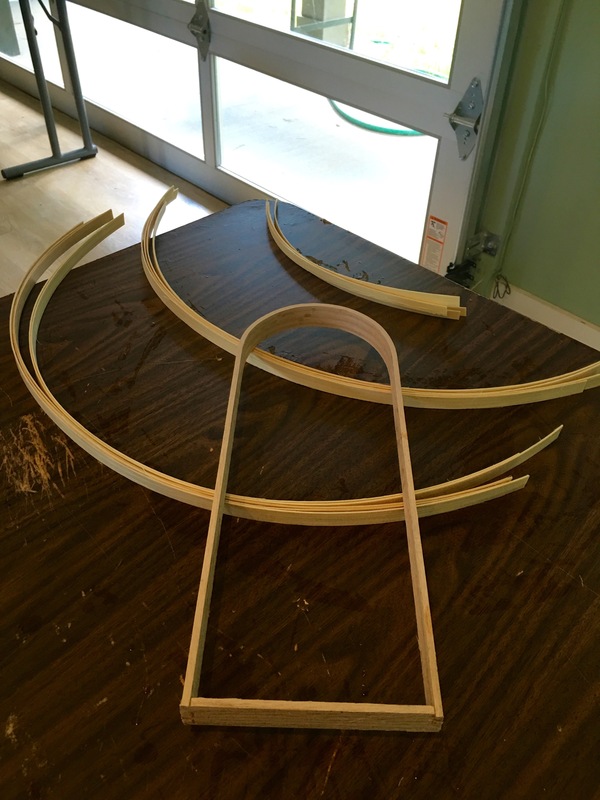 Once the base was formed, round reed was woven through the spokes to secure the frame. The wooden reed had to be kept wet to make it flexible and easy to manipulate without breaking. 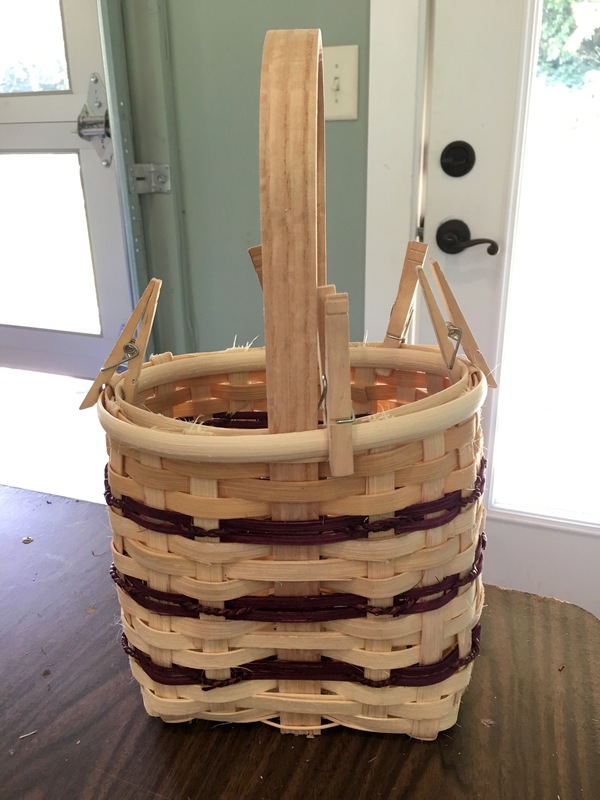 I decided to add in a little color to the basket, so every few rows I added maroon reed and seagrass. Seagrass is actually a grass that is hand twisted into cord. The alternating over-under weaving process was repeated until I reached the desired height. Or, more accurately, I ran out of time and had to make it to a hair appointment. 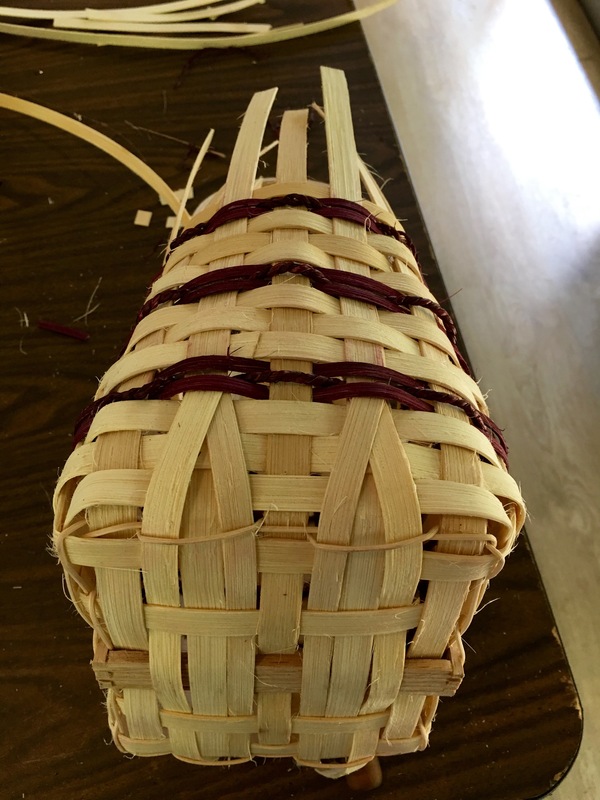 Eventually the shorter spokes at the bottom were trimmed and tucked into the weave to finish the bottom of the basket. 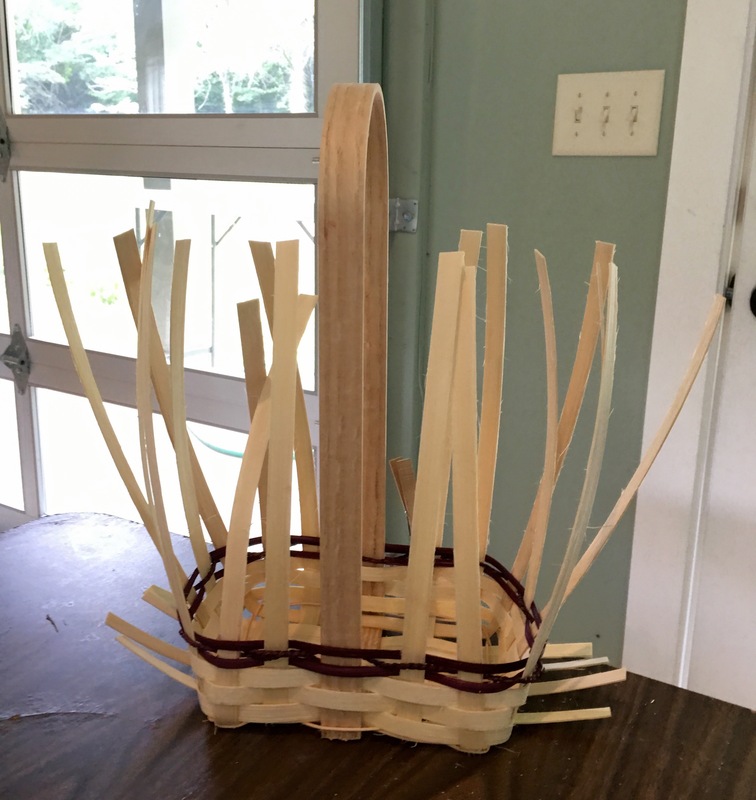 The top of the basket was finished with half round weed lining the rim and smaller reed was wrapped through the open holes in the basket. To get it a little extra flair, I added some of the maroon seagrass to the top. Voilà! 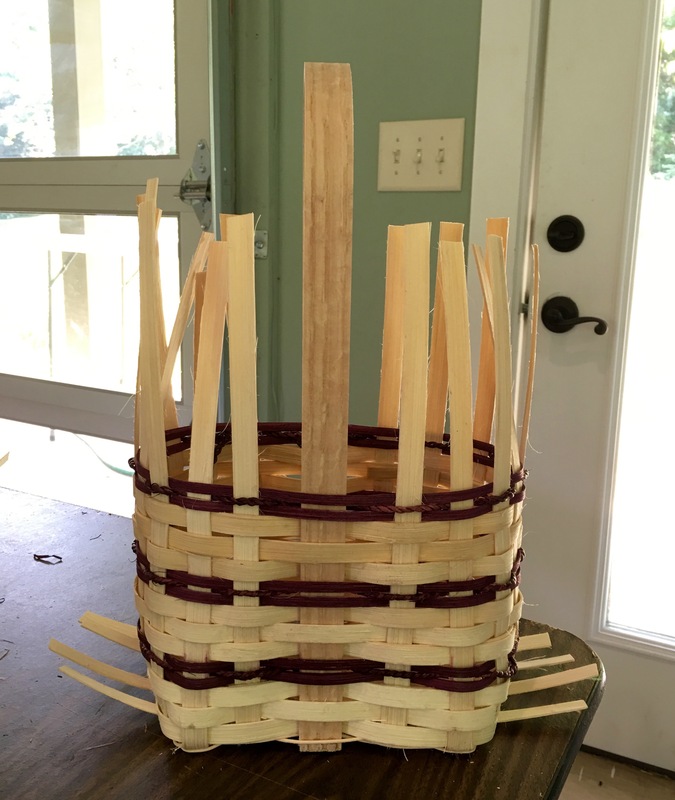 A completed wine basket! It took a few hours and a little hard work, but I am pretty happy with the final product. Plus, I am now ready for life on the prairie. I can’t wait to return to Owl’s Hill for another class or for when I have some time to explore.